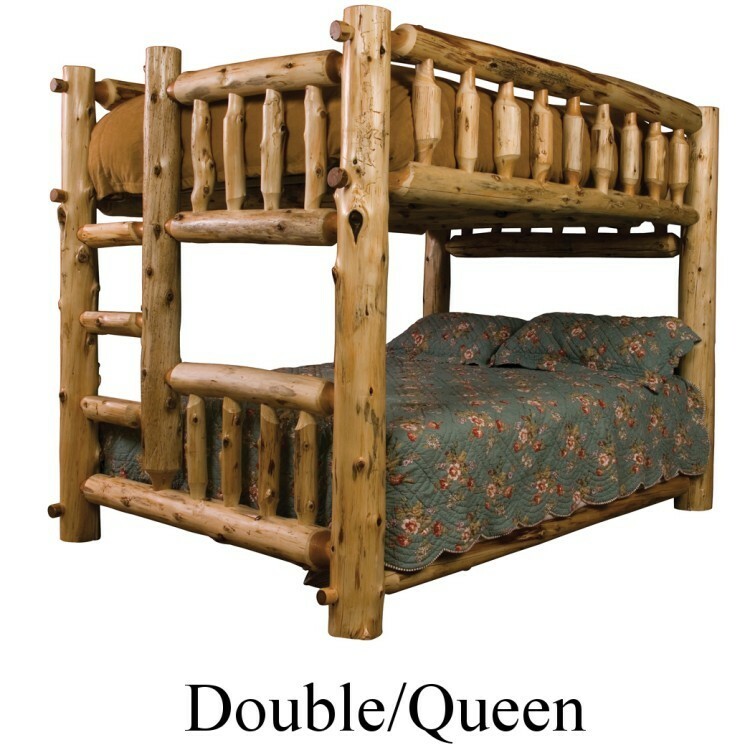 These beautiful traditional Cedar Log Bunk Beds features full log side rails for sturdy construction and slats on the bottom bunk to support box spring and mattress and a solid wood platform on the upper bunk to support a mattress. 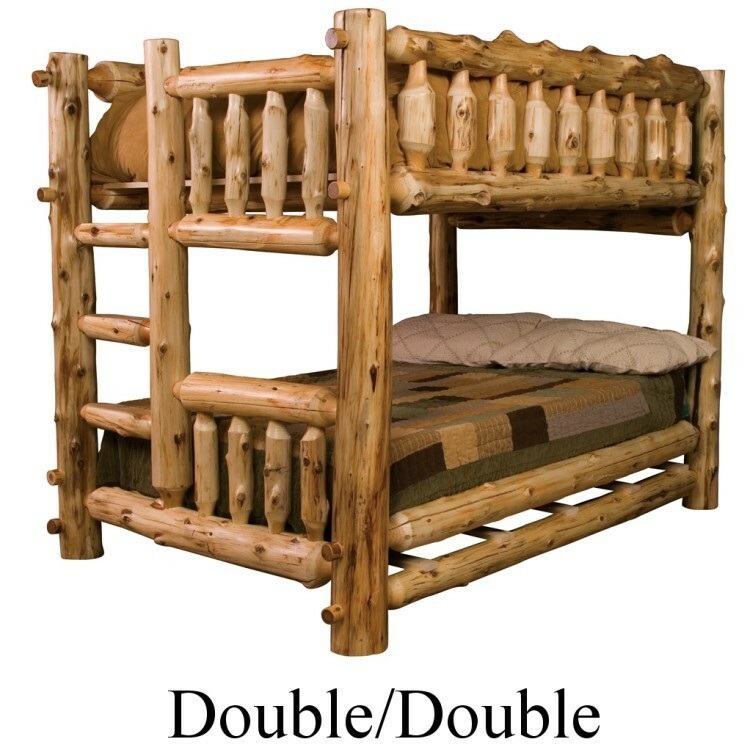 These beautiful traditional Cedar Log Bunk Beds features full log side rails for sturdy construction and slats on the bottom bunk to support box spring and mattress and a solid wood platform on the upper bunk to support a mattress. (Mattresses not included). 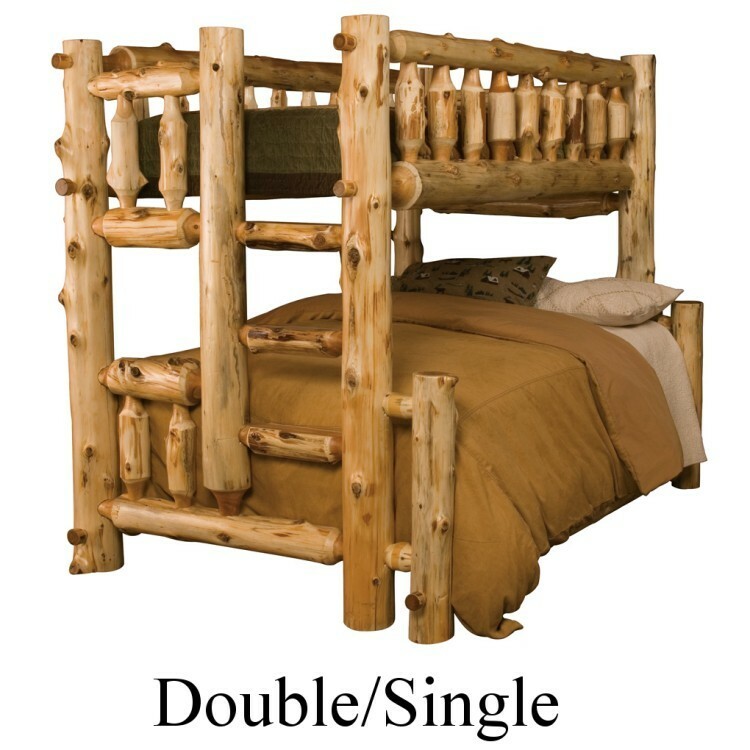 Each bed is individually hand crafted and made from hand peeled white cedar logs giving it a natural log look. They are clear coated with a catalyzed lacquer finish for extra durability. 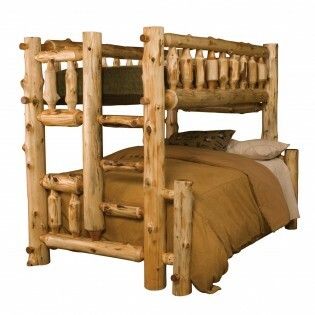 These log bunk beds come in 5 different sizes with a choice of right or left ladder.